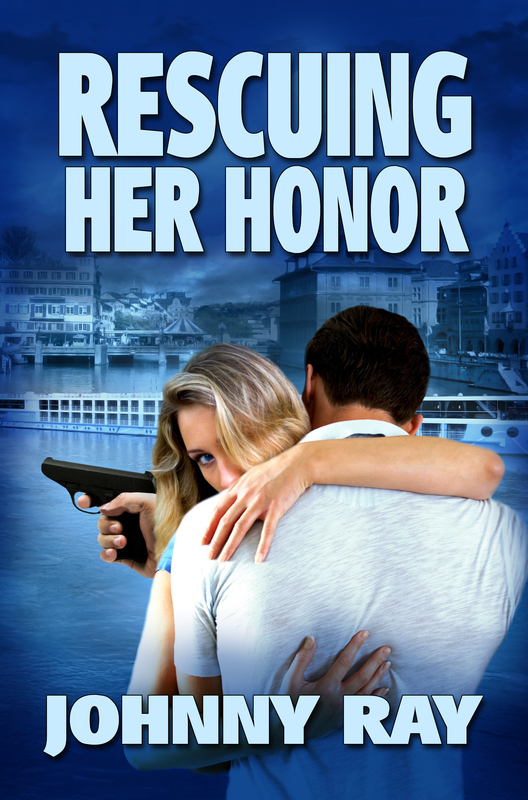 INTERNATIONAL BEST SELLING NOVELIST JOHNNY RAY has written an action and adventure filled novel filled with romance and suspense that follows up on his previous best selling contemporary romance novel HER HONOR'S BODYGUARD, which he suggest you read first. With so many people asking for more, Johnny Ray decided to extend these contemporary romance and take Vance and Noella on to Europe where they have to solve a mystery in order to gain their freedom and to be able to share their life together as husband and wife. This is one crime, a family secret, that will test every ounce of their love for each other, and hopefully will not tear their families apart. Noella had thought they had stopped the stalkers, and several corrupt governmental factions who wanted her to step down from being a judge. That is until the treats reappeared. Vance, her bodyguard turned fiancée also thought so. But then again, many secrets are still hidden deep inside a safety deposit box in Switzerland. While going to receive Vance's inheritance in Zurich could be a dream vacation for this now engaged couple, who only want to work out some serious conflicts in their wedding and careers, sinister politicians and crooked cops have other plans waiting for them in Europe. This is one mixture of contemporary romance and a murder mystery you will not want to miss.